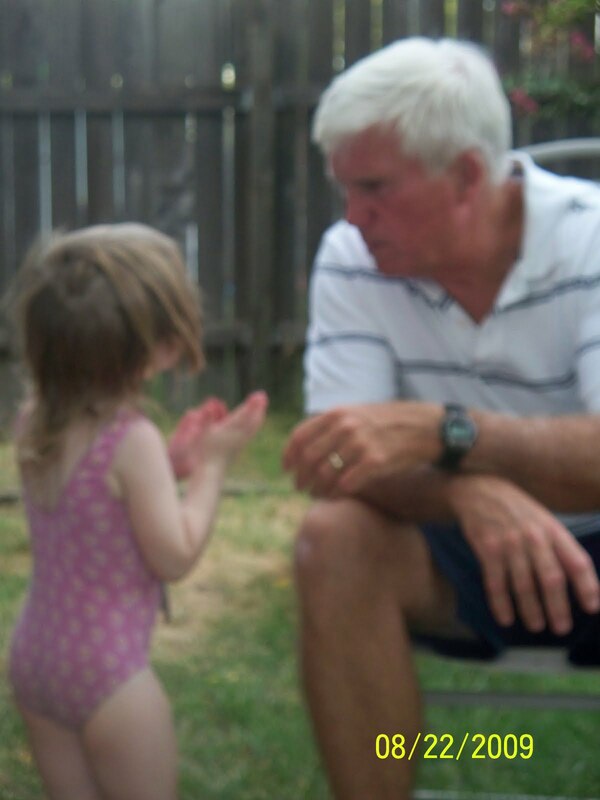 Yes my hands are clean, Grandpa. My kids had a fun visit with their grandparents a few weeks ago. We miss them already but are looking forward to the trip out to see them again in Wisconsin this Christmas. I think I am nuts. I will be flying nonstop from San Francisco to Milwaukee with four kids and no husband. But I’m sure the trip will be well worth it. awww… lovely pics! Happy WW!! Photos like that are ones that we treasure forever! I know I always had a special relationship with my Grandfather, and I still have photos of him in my house! Looks like a lot of fun! I bet your trip will be totally worth it! 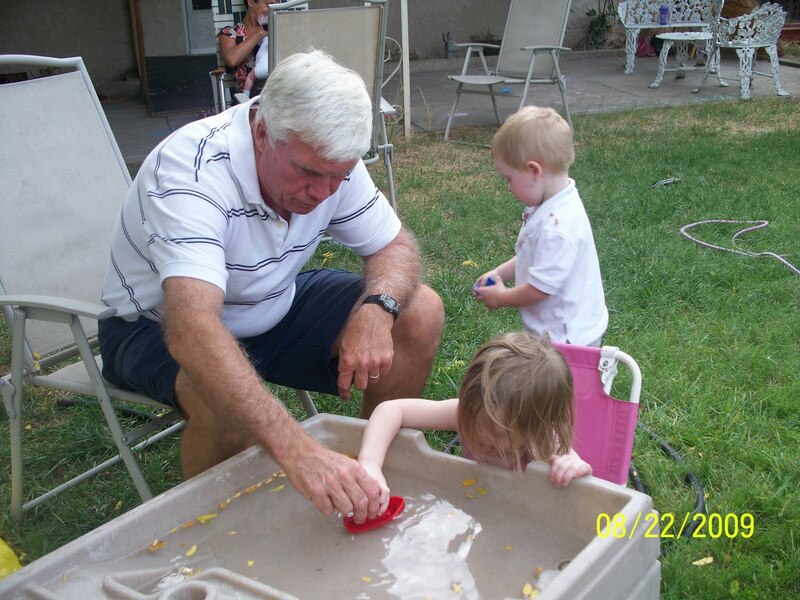 There is nothing better than a Grandpa that plays!! Here is my Wordless Wednesday! Those are wonderful, always great to see family together! Those a the precious moments we treasure! What great photos! Traveling from San Francisco to Wisconsin in winter shows great dedication. These are such sweet pictures. 🙂 Happy WW! Looks like grandpa is having fun! Looks like fun. The water toys look like fun. Glad you had a nice trip with the grandparents. 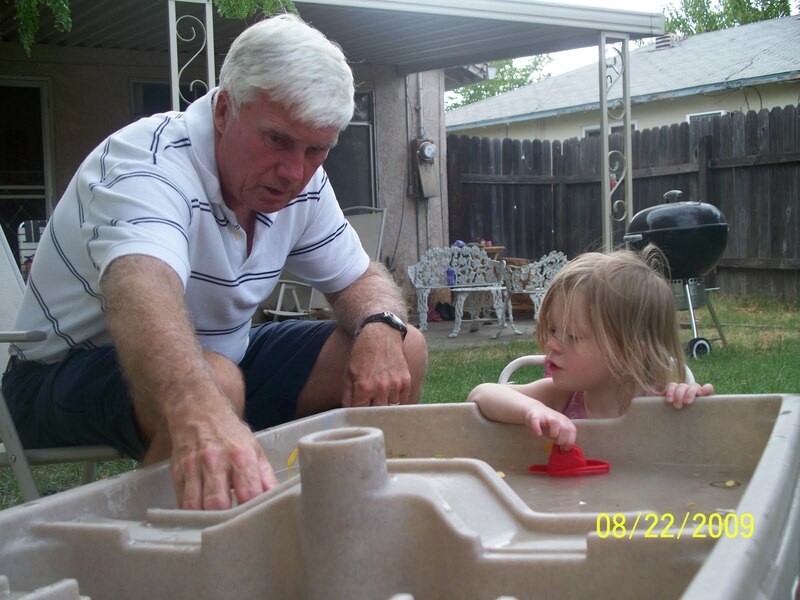 this is a moment to remember…grandpa spending much time with his little girl =) sweet! These will be great memories one day. Classic. I'm sure the trip will be worth it. I just hope for you that they live somewhere populated and you don't have to get on a puddle jumper. Last time I visited my parents, when they lived in northern WI, I ended up on a puddle jumper that I would swear was doing flip flops up there with a drunk pilot on an acid trip. My parents live just outside Madison and they will be picking us up from the airport in Milwaukee. We are only riding in one airplane so it should be a big one coming all the way from San Francisco. What great photos and memories! Good luck traveling by yourself. At least you don't have to worry about connecting flights and changing terminals with kids and bags. Traveling w/ 4 kids- your not crazy- well not until AFTERWARDS!LOL! Thanks for coming by my blog & commenting! Love this site! I love the pics. Good luck on your trip!